Thank you for signing the Guest Book for Judy Ann Land. Please take a moment to sign the Guest Book for Judy Ann Land. Thoughts, prayers and sympathy. May you be strengthened by the memories you shared with Judy. To Judy's family and friends, our thoughts and prayers are with you. May God bless you and keep you during this time of sorrow. 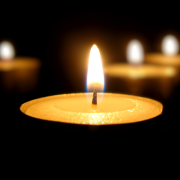 To the family of Judy, Our thoughts and prayers are with you in this time of sorrow and in the days ahead. Enjoyed Tennis luncheons together with Judy and always enjoyed her fellowship. Send me a daily email when updates are made to the obituary or Condolence page for Judy Ann Land.